If you’re looking for an exhilarating experience from start to finish, the 2019 Chevy Camaro is your first choice. From the low, sculpted profile on the outside, to the driver dedicated interior, all the way through to the heart of the beast, the Camaro is pure American muscle. This stunning sports car not only has legendary name and reputation but has also been named “among the most sophisticated driver’s cars in the world” by Car and Driver in its 2018 “10 Best” issue – for the third year in a row. The Camaro hasn’t turned its back to progress, offering five trims and engine options including a 2.0L turbo that enabled 0 to 60 in 5.4 seconds. 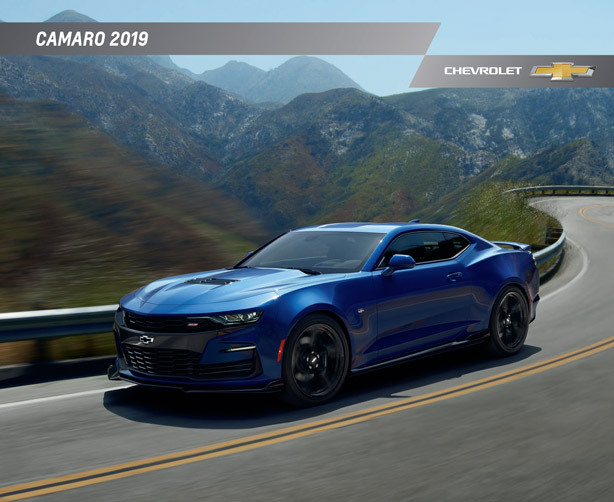 You can explore the 2019 Chevy Camaro and learn more about its features and performance specs as well as info on the LS Coupe, LT, Convertible, SS, and ZL1 models in the downloadable brochure by clicking the button below. Whether you’re looking for a weekend cruiser, a car that can deliver at the track, or an everyday driver that’ll turn heads wherever you go, Graff Bay City has you covered. 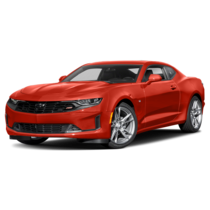 We carry a wide selection of new Chevy vehicles, including the 2019 Camaro. You can see what we have available at our dealership on Wilder Road at any time online. Shop our online inventory to see photos, pricing information, and full window sticker details for each Camaro on our lot. Our listings are updated daily, but if you see a 2019 Camaro you love, don’t wait to set up a test drive! Our team of Chevrolet experts are here to help you get to know the newest model of this beloved sports car and get you financed for one, too. Let us know which Camaro you want to take for a spin by giving us a call at (989) 684-4411 and we’ll have it ready to go when you arrive.